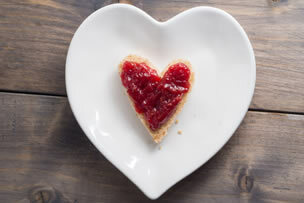 Duerr’s preserves are the perfect way to serve an individual portion of jams and marmalades for your business. As a recognised brand name, you can be confident that you are buying a high quality preserve for your guests to enjoy. Single Source stock the Marmalade Cups and Strawberry Jam Cups as individual cases of 96 x 20g portions. 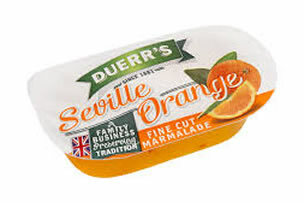 There is also an assorted box of 96 x 20g portions that includes Duerr’s Raspberry Jam, Duerr’s Strawberry Jam, Duerr’s Blackcurrant Jam and Duerr’s Seville Orange Marmalade. Duerr’s preserves can be used as part of your breakfast offering served alongside croissants and toast, or as a tasty addition to porridge. If you serve food on the go then they are perfect for the travel and leisure sector. The individual serving pots means there are no messy, sticky pots to keep clean and your customers enjoy a branded serving all of their own! 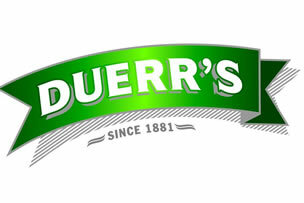 Get in touch to talk about the Duerr’s range of preserves. We are happy to help!